Bahamas Wedding Reviews are so important in guiding you through getting started with your Bahamas wedding planning. We share with you today a few of our recent reviews. You may see more of our great reviews here. We’re delighted that these couples were happy with their experience. Contact Chic Bahamas Weddings today to start planning your magical day! 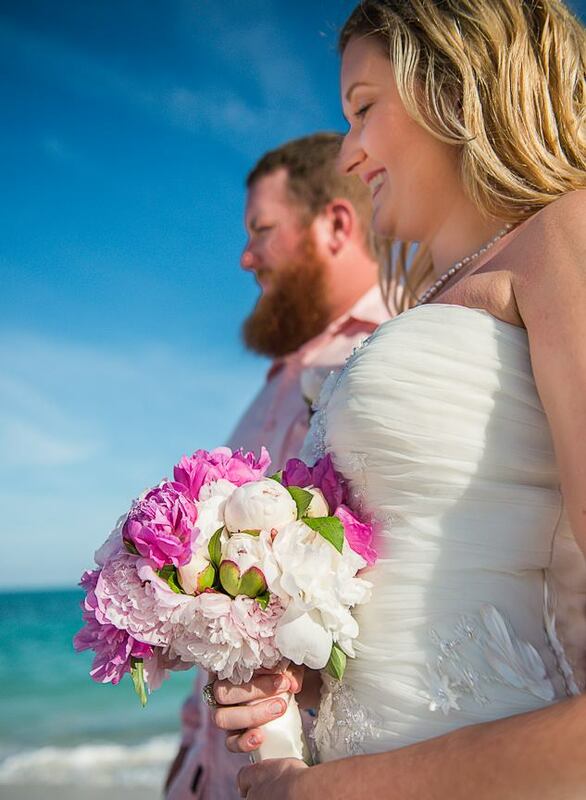 Cody and Chloe – beautiful pink peonies wedding bouquet – married on the lovely, private and secluded Spanish Main Beach, Lucaya, Grand Bahamas Island – April 14, 2014. Photo courtesy of Erik Mosvold Photography, Bahamas Wedding Photographer. 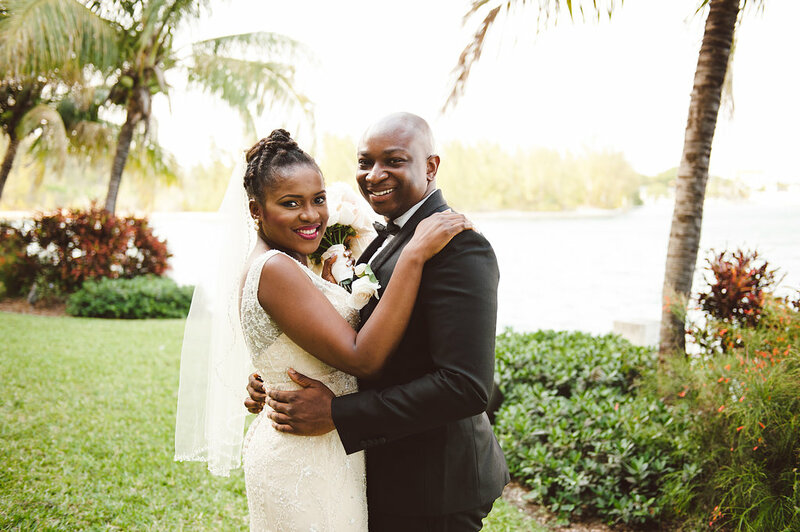 The beautiful Patrick and Rebecca – married at a private Grand Bahamas Weddings estate – tied the knot April 17, 2014. 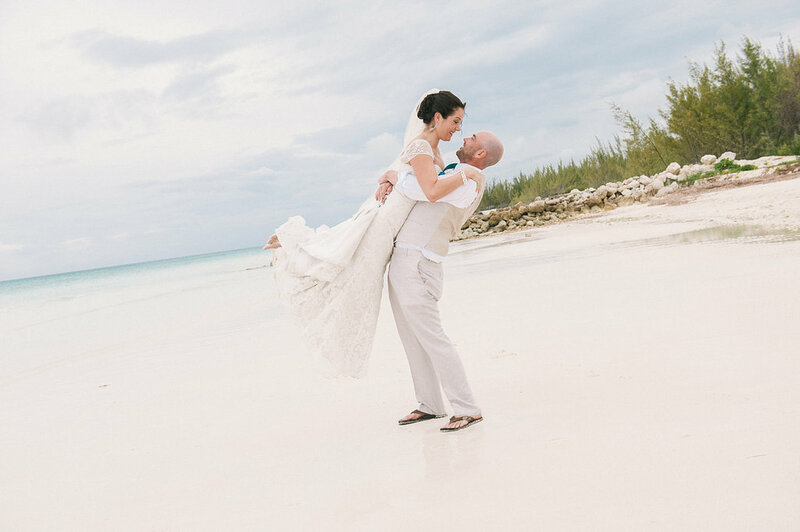 “Chic Bahamas Weddings met and far exceeded my expectations for my wedding! I never dreamed of having a wedding when I was a little girl, so when I knew I was going to have one I knew I wanted one where I could relax and not spend my whole year planning the tiny individual details. So what’s better than having someone else arrange it in another country?? My ultimate experience was all about everyone having a nice vacation and enjoying my family and friend time with no stress about details that only I knew about, and that is exactly what I got! Marva really seemed to go above and beyond. I was worried that she specialized in resort weddings and might not be equipped for my secluded location wedding, however she rocked it. I was 30 minutes outside of Freeport, and she still made 3 trips in the week to make sure that we were 100% okay. When the wedding day came, all vendors showed up and actually seemed to care about their product. It rained in the morning, and they were all so quick to protect everything until the rain stopped. When Marva came in she was on the ball directing everything to be perfectly coordinated, between the steel pan players, the DJ, the chef, the officiant, the AMAZING photographer WilGrant, the lights, and the flowers nothing missed a beat. Photo courtesy of WilGrant Photography. Bahamas Wedding Planner Reviews – Simply Phenomenal! 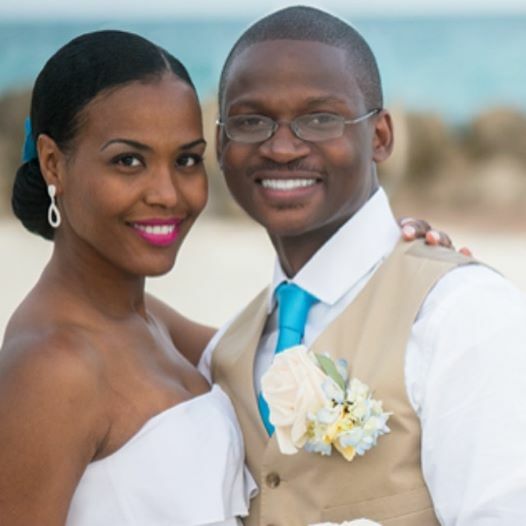 The handsome Jabari and Sylvia recently married in the Bahamas – married at the Pelican Bay Hotel waterside gazebo – April 11, 2014. The dashing and elegant Ola and Onyi. Photo courtesy of WilGrant Photography, Bahamas wedding photographer. Check out the Bahamas Ministry of Tourism for more information on the Islands of the Bahamas.